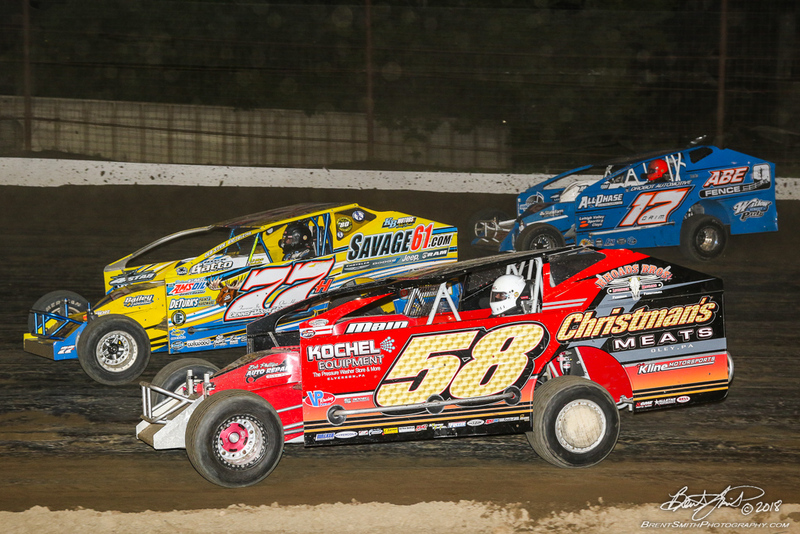 BECHTELSVILLE, PA – The battle for the lucrative NASCAR/Track championships in the T.P.Trailers 358 Modifieds, Sportsman and Late Models at Grandview Speedway has just three point races to go. A four division show of stock car racing is set on the one-third-mile, banked clay track for Saturday, August 25th starting at 7:30 p.m. Featured will be the Modifieds, Sportsman, Late Models and the excitement of the Blast from the Past Vintage racers. There will be no increase in the price of admission with adults paying just $15 and youngsters under 12 admitted free. By the way there is free parking on the speedway grounds. 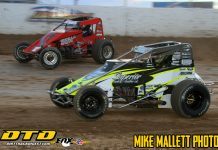 Fans will be able to meet modified racer Doug Manmiller along with sportsman racers Mark Kemmerer and Kenny Bock in the Low Down and Dirty Meet & Greet that takes place near the main entrance at 5 p.m.
Mike Gular continues to lead the standings in the T.P.Trailers Modified division as he has done most of the season. Gular has been able to stay number one despite no feature wins but has had consistent performances. His 3056 points puts him on top. Close behind is ten time track champion Craig Von Dohren with 3007 counters and three wins. Another ten time champion Jeff Strunk is third with 2933 points and two wins. There have been seven different winners in a season that has been limited by eight rainouts. Danny Snyder looks for his first Late Model title as he has 1937 points and three wins while second place is held by Kyle Merkel with one win and 1775 tallies. Two feature winner Wayne Pfeil sits third with 1666 points. There have been seven feature winners in the NASCAR Late Models. And in the Sportsman sophomore racing standout Louden Reimert continues to set the pace with 2320 points and no feature wins. Second goes to single feature winner Brad Grim with 2240 tallies while Brad Brightbill, without a feature win, holds down third with 2046 points. Ten different racers have won features with the Sportsman. On Saturday, September 1, a third effort will be made to run the Pioneer Pole Buildings Forrest Rogers Memorial, a 50-lapper for the 358 Modifieds that rewards the winner with $10,000. Twice the race has been rained out forcing management to use the September 1st date and take Hatfield Meats, a long time sponsor, off the schedule for that night. In addition to the T.P.Trailers Modifieds on September 1 fans will see the Sportsman and Late Models in action. The Vintage Racers that had been scheduled as part of the night have been removed from the schedule. Admission for PPB Forrest Rogers Memorial is $25 for adults, $5 for youngsters 6 thru 11 and under 6 are admitted free. The NASCAR/Track point season will finish on September 8th with Champion’s Night presented by WNPV 1440 AM radio and will include all three divisions in action. During all these events fans will be able to purchase discount tickets for the 48th Annual Freedom 76 set for Saturday, September 15th and carrying a rain date of September 22. Fans save $5 buying their tickets early at the track at $35 while on race day the tickets for adults will be priced at $40. 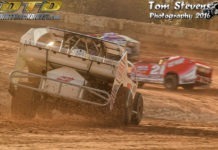 For more information check in at www.grandviewspeedway.com, Facebook or telephone 610.754.7688. Next articleFor the Industry. By the Industry. Our Dirt Million.